Never before has technology this advanced been brought to the masses. 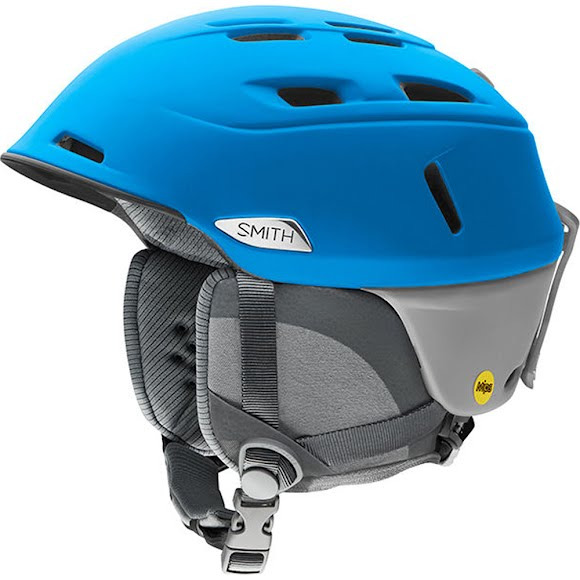 The Smith Camber utilizes ultra-light in-mold construction to minimize mass and maximize ventilation without sacrificing one ounce of protection or style. A custom developed, Smith exclusive piece. Building on the proven fit of our ergonomic head form, it offers an intuitive dial system for on-the-fly, single-handed micro-adjustment. This three-quarter haloed design offers key features of self-centering and vertical adjustability, allowing the user to achieve a perfectly customized fit. X-Static is a silver coated textile fiber that enhances products with permanent and natural anti-odor, anti-static and thermodynamic properties.